In the wake of global financial crisis, European countries have experienced austerity and reduced public spending on welfare. Global conflicts have triggered migration to Europe. Both crises have deepened the polarization of society, but also triggered multiple actions of solidarity. How important is the collaboration between public administration and civil society organisations in this situation? What is the distribution of roles and tasks between the two types of actors in the delivery of social policy? 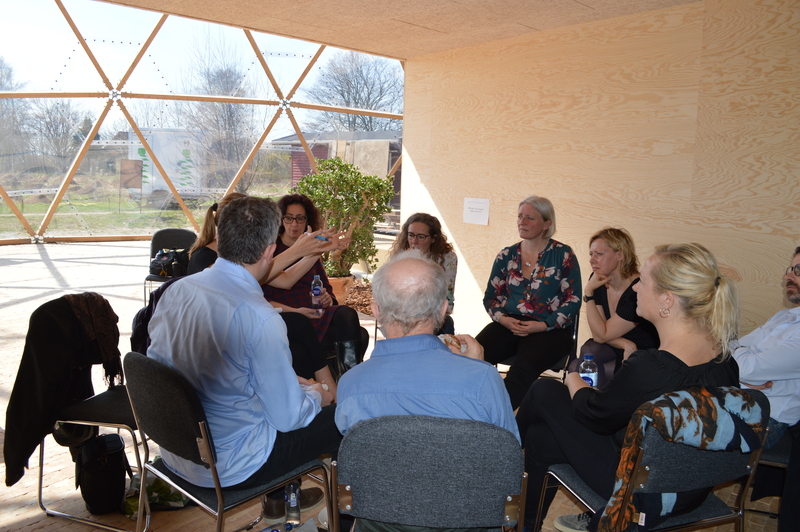 This event invited stakeholders from research and practice to debate the role of third sector collaboration with the public sector in Denmark on the design and provision of social services. Do we see the emergence of new collaborative partnerships? How to combine the social with economic considerations in public policy? Danish experiences were compared with insights from other EU countries in the context of SOLIDUS research on acts of solidarity in the social sector after the economic crises. The aim was to initiate an important dialogue on how to pool and utilize ideas and capacities in challenging times. Sharing insights from Denmark with speakers from other political and institutional contexts generated a valuable experience for all participants alike. On the day more than 30 stakeholders from Brazil, USA, Scotland, Hungary, Germany and Denmark met for an intense day of exchange. Subjects and approach followed the vision of the SOLIDUS project to capture acts of solidarity performed by citizens in inter-relation with public agencies. Stakeholders were representatives from public policy, third sector and higher education. After a welcome by Lars Hulgård, Professor at Roskilde University and senior researcher on the SOLIDUS project, and Hanne Danielsen, CEO of hosting organisation Grennesminde, Jenny Eschweiler of Roskilde University introduced the SOLIDUS project and the general topic of the day. As SOLIDUS did comparative research on expressions of solidarity during the refugee crisis, former President of the Danish Refugee Council Andreas Kamm gave the first speech, outlining the international refugee situation and responses by the Danish and other western governments. He expressed his hope for social movements and civil society to be positive drivers for more effective migration and integration policies. While policy-makers might hope that the refugee crisis is just going to pass, a mélange of conflict zones like the Middle East, localized conflicts between groups in many regions of the world, and poverty in African countries make it more likely that the problem will become larger. How to integrate a high number of refugees in a small country like Denmark? The standard formula of integration policies is to provide housing, education, health services and jobs. However, this is impossible when people come in high numbers as in the wake of the war in Syria. “It would be important to show solidarity globally, i.e. by helping receiving countries like Jordan, but Danish politicians say: we need to take a break and we better help people in Copenhagen”. As a consequence, the toolbox of national politicians consists of trying to get the numbers down by making Denmark a less attractive country than others. This works by reducing people’s rights: refugees receive about half of a regular salary and only enjoy reduced public services, which essentially undermines integration process. At the same time public discourse demands more integration from refugee communities. Kamm concludes: democratic values like freedom and equality are cast away in order to deter refugees from coming. Can change be triggered by civil society and social movements that do not want to accept such a reduction of rights for certain groups of people in the name of national security, economic well-being and social cohesion? Can refugees be taken care of, or take care of themselves, through social enterprises or advocacy work? It might widen the room for more open political decisions. The private sector can also help to create solutions: why not convince them that the end-users of the Danish Red Cross or the UN are their customers? The question is if this is enough to counter-balance the current lack of good governance in the field of refugee support. Picking up on Andreas Kamm’s account of a lack of encompassing political strategies to address global migration flows and integrate them with effective national integration policies Noura Bittar Søborg, a graduate from the MA Programme on Social Entrepreneurship and Management at Roskilde University, a social entrepreneur, and a former refugee from Syria, shared her story of claiming asylum in Denmark. Her account exemplified the humiliating process refugees are subjected to, but also the inability of the system to process applications quickly and to capitalize on the capacities refugees bring along. Instead, they are subjected to long-lasting uncertainty concerning their situation and that of their family members, which in turn affects integration into society. Dealing with intense stress post-migration, worry for the well-being of parents, siblings and children, and the struggle to re-build a life in a different country, successful employment can be a long way down the line. A social movement with a positive impact on many refugees lives mentioned by practitioners is the Friendly Villagers, who are sharing personal networks with refugees all over the country. However, there is no centralized structure, and individuals who participate follow different agendas. Some want to achieve broader policy impact, many others just wanted to help, showing the difficulty in counting on popular movements for change, as they can take a long time to consolidate into a coherent advocacy voice. One participant pointed out that public discourse on refugees revolves between romanticization and polarization, while really there is a pluralism of people coming, of local welcome structures, and capacities. Quick solutions are unlikely to be found, but the public sector should draw on civil society based initiatives and organisations like social enterprises to develop skills and capabilities among refugees. A sustainable working relationship between sectors could also help address the changing needs of refugees on the road towards integration, with larger and financially stable NGOs like the Danish Red Cross functioning as mitigating partners between state and smaller civil society based initiatives. This might also help governments to tread the thin path between their public duty to support refugees and while responding to negative public discourse on immigration. Collaboration between third sector and public administration on social services – changing paradigms? Another part of the day’s programme looked at co-production between third sector and public administration in social services, in light of increased reliance on civil society based initiatives and organisations as part of new public management and austerity. Does this situation create more space for participation in political process? Chairman of the Danish Social Welfare Society Knud Aarup reflected on the role of civil society in the formation the Danish welfare society, pointing out that it existed before the creation of welfare institutions. In his words, Denmark has a long tradition of people getting together to address a concern, which is then taken on by public institutions – hence they can only take over what people have created themselves, integrated in welfare society. Civil society thus serves as a critical watchdog and is essential for the development of society. Despite this strong tradition he concludes that civil society in Denmark has weakened over the past 30 years, as today few civil society organization are truly independent from the state, mostly due to receiving public funding. He underlines the importance of civil society to be independent in order to fulfill its emancipatory and innovative role and cater to all target groups. This requires a relationship with the public sector that is based on mutual recognition and trust and that values CSO’s contributions beyond service provision. One possible solution proposed to foster independence is more availability of trust fund money that does not stifle critical and advocacy voice and hence leads to a more balanced relationship. A good working relationship is possible, provided municipalities do not seek to take over a service invented by civil society, as illustrated by Ole Kassow from Cycling Without Age. According to him, it is the welfare state itself that isolates, depresses and medicates elderly people. Then it wants to take over initiatives like CWA that find a solution to re-integrate them into communities. Mobilising volunteers, however, is one of the specific capacities of civil society. In his experience, people are not ready to volunteer for the public sector, and there are Danish municipalities who are becoming more accepting of partnerships. Underlining the context dependence of civil society and co-production Sara Svensson from CEU in Hungary presented two examples of organisations working with homeless people to illustrate what the development of a hybrid democratic/ authoritarian regime means for a civil society that depends on the state for funding and supportive regulations, and on public discourse in favour of supporting the target group. In Hungary the situation essentially shifted from accepting that there are situations that cause homelessness back in the 1990s, to blaming the homeless for their own fate today. As a participant from Brazil pointed out that the equal rights-based focus of civil society needs implementation by governments in the form of policies. Hungary of the 1990s saw improving CSO/public sector relationships and co-production, but also high state-dependency for funding, so a critical voice was always difficult to maintain. In the same vein, the current government is not hostile to all civil society, essentially leaving CSOs three choices: to play along without too much critique and try to play a bit; to try to survive and hope the situation will eventually change; to try to connect with other groups abroad. Taking the discussion back to Denmark, a country that is politically committed to working with civil society and with a strong cooperative history, discussion moved towards the question if and why the public sector itself is less innovative than civil society. One explanation offered was that despite attempts at being innovative in service provision there is too much obsession with financial resources, rather than taking a people-centered approach – which is the strength of civil society. Another contributor reminded that despite multiple barriers for innovation inside the public sector, like silos and funding issues, there are people working inside the sector who can promote networking. Civil society actors have to identify and connect with the individuals inside the public sector who want to implement changes in innovative ways and who promote networking across sectors. This requires more independent decision-making power for municipalities. 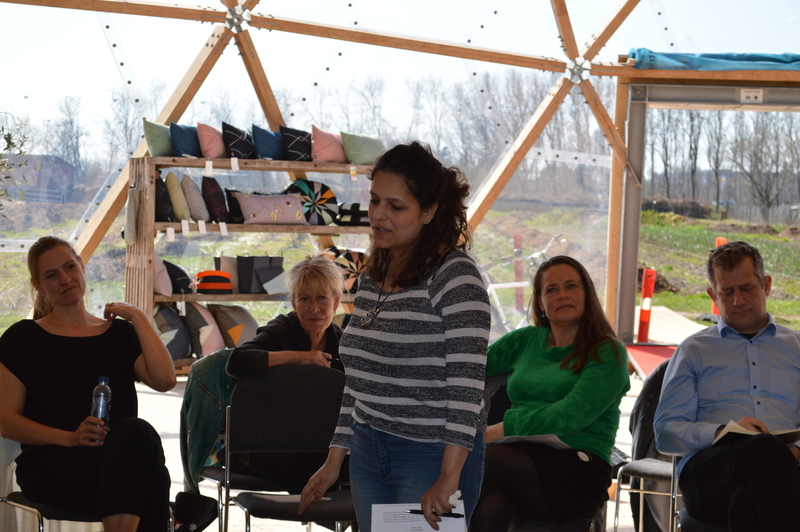 One participant who used to work for Copenhagen municipality shared the story of municipality break-outs, where organisations originally working with the municipality declared themselves independent and now sell services as independent providers. Cycling Without Age is the result of networking between a civil society and a municipality actor, who started the initiative together, an important factor to get CWA off the ground in the first place. The challenge is to build better partnerships and in this regard the public sector has to find a new role as an incubator for ideas, without turning them into a top-down service. The challenge of our times is how to preserve the culture of participation – a challenge in most democracies today, both due to political and economic reasons, as civil society in some European countries is increasingly co-opted by state and market. Once more participants pointed to new popular movements as a possible counter-balance, but also proposed conscious reflections about resistance strategies within CSOs. In contexts where CSOs are created top-down or depend heavily on the public sector, the boundaries are unclear, but there is a sense that ‘if you are really good at what you are doing then there is also power’ (participant). Social economy in the area of health, education and employment: social enterprises as the way forward? The next panel was looking into the role of social economy organisations in the fields of health, education and employment. Michael Roy from Glasgow Caledonian University in Scotland, an expert on social enterprises and public health, gave the introductory remarks, putting out the question if social enterprises are better than the public sector and the state in promoting and providing public health. Quoting the figure of 120.000 deaths every two years as a consequence of austerity policies in the UK, the question really is how to tackle the causes of health problems, a macro-level concern that SEs are unable to address. They do, however, offer some remedies, by supporting people in various ways, including in improving their economic situation. One such social enterprise is Grennesminde, which hosted the event, and which works with young people with social or mental health challenges to set them on a path towards employment. It depends greatly on collaboration with municipalities that provide the funding to work with individual youngsters. 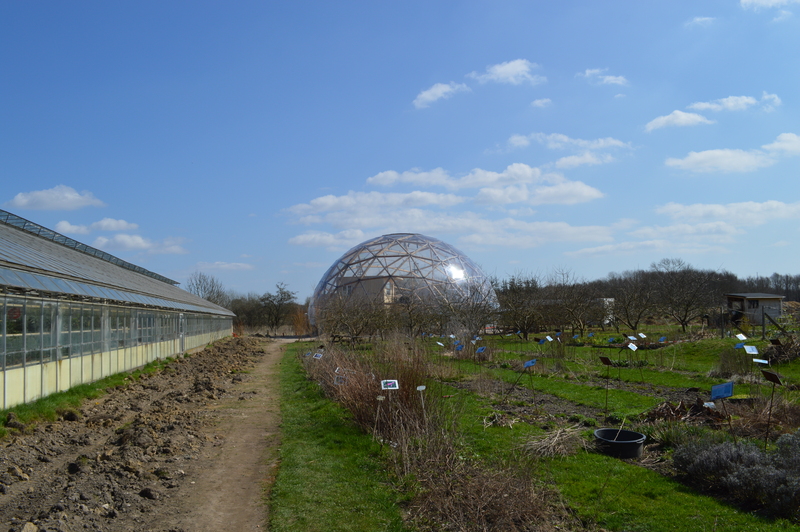 Grennesminde provides housing and training in in-house businesses such as greenhouses, catering, and a bakery, Most young people move on to employment after 6-24 months. Grennesminde’s CEO Hanne Danielsen demonstrated how different sector’s respond differently to the organisation’s self-understanding: ‘When I talk to the public sector I approach one of them and say, we are partners. And they move their chairs away. If I say this to the private sector they say, yes, of course’, as long as they produce high quality products. Market activity allows the going the extra mile in providing a wholesome and healthy environment for the young people they work with, while the public sector seems to be pre-occupied with keeping public spending at the minimum, exemplary in the shift in Danish discourse from social policy to labour market activation. Wolfgang Grasnick, CEO of a work integration social enterprise in Germany, shared similar experiences in Berlin. The potential for more equal partnerships exists owed to the activism of civil society actors in this field, who established strong networks of contacts that they are willing to share with the public sector, apart from implementing a public sector responsibility. Instead the public sector punishes successful market activity with restrictions on public funds, appears to be worried about scandals when public money is ‘abused’, and seems to have moved from value-based to economy-based considerations. Denmark introduced a new registration system for social enterprises a few years ago, designed to give SEs self-confidence as actors at the intersection between private, public and market spheres. However, according to several participants nothing happened towards new partnerships: public procurement is decided at national level, undermining municipalities’ capacity to buy social; there is a lack of reliable cost-benefit studies ad social impact assessment; and the government wants a business case for each person, rather than for organisations. Seminar participants agreed that the public sector forgot about dreams and turned towards the market instead. Dreams are linked to a cause, but the causes appear to get lost in new public management philosophy that thinks less about subsidiarity and more about service contract competition that reduces questioning of state policies and quality of services. Social enterprises, on the other hand, see causes and remedies in rights, regulations and needs. In order to build dreams together, public and social economy sector would have to make sense of them together, with a state joining civil society networks functioning as activator through policies and co-funder. We were lucky to have Professor Margaret Somers, Professor Emerita from the University of Michigan, as an active listener present during the discussion. She has written extensively about the erosion of equal rights and citizenship by discourses on deservingness and merit in the US, effectively excluding non-white, non-middle class people from the community of rights-bearers. In her final observation she warned that welfare states in Europe might be going the same way as the US: towards a ‘fake welfare state’, with citizens who believe welfare is a contract out of which you get out only as much as you paid in. In this perception, equal rights can only be enjoyed if one has earned welfare in the first place, thus turning welfare into an entitlement that was originally intended as a structural right, disenfranchising people and communities. Mistrust of political elites and a turn towards populism is just one of the results of such developments. One important conclusion of the day is that we need to return to a discourse that underlines the state as insurance that the rights of individuals do not depend on their market value but on their humanity. Rights are won from laws that are the result of democratic process in which civil society has a crucial role to play. The focus on rights binds state and civil society back together, an important factor to remember when talking about collaboration. With participants and speakers from several countries inside and outside Europe it became clear that the challenges for equality and social justice are similar in many democracies around the globe. Governments have an active role to play when it comes to fostering partnerships with civil society and social economy organisations: in order to renew interest in democracy, to be resilient in times of economic austerity, and to prevent the disintegration of societies. This exchange of experiences across borders was certainly a contribution to building a multiple-stakeholder movement to raise awareness of the potentials of more collaboration. A special thanks goes to Linda Lundgaard Andersen for moderating part of the discussion, and to Christina Lykke Ørgaard for taking pictures. Knud Aarup is an independent agent in the development of the welfare society. He is chairman of the Danish Social Welfare Society and an elected member of The National Council for Volunteering. He is a political scientist and former CEO of the Danish National Board of Social Services. He is engaged in public debate on social welfare in Denmark and author of books on the subject. Steen Cristiansen is the Mayor of Albertslund Kommune since 2018 (and 2010-2014), and has been a member of the local government of Albertslund from 2002-2009 as a member of the Social Democratic Party. Before becoming mayor he was the Deputy Head of a school. Unfortunately he had to cancel his participation at the last minute due to ongoing negotiations with some major Danish trade unions. Hanne Danielsen is the CEO of Grennesminde Funds, working for a more inclusive labour market, social sustainability and social economy. Before this she was in charge of a gazelle company and has been one of the judges in ‘Venture Cup’ for several years. She also has a background in the media industry. Hanne is member of the Advisory Board of Social Economy in Roskilde and of the ‘Committee of Social Economy’ within The Confederation of Danish Enterprise. Wolfgang Grasnick is co-director and co-founder of the Berlin-based social enterprise Union Social Organizations (U.S.E. ), largest of six social enterprises in the city that provide professional rehabilitation and work integration for more than 1000 people with mental health issues in a broad range of professions. He is a trained psychologist, Board member of a welfare foundation, and active participant in various local level working groups related to the mental health field. Andreas Kamm was Secretary General of the Danish Refugee Council from 1998-2017, which he joined in 1979. He was a member of the Danish delegation to the United Nations High Commissioner for Refugees’ annual executive meetings, chairman of the Humanitarian Accountability Partnership (HAP) and chairman of the European Council on Refugees and Exiles (ECRE). He continues his work for the refugee cause as lecturer, debater, consultant and writer. Ole Kassow is the founder of Cycling Without Age. He used to work in health care, business and urban ecological farming before starting CWA. The initiative seeks to bring community members from different generations together by taking elderly people on a bike-ride. CWA now has chapters all over Denmark and in 38 countries around the world. Michael Roy is Senior Lecturer in Social Business at the Yunus Centre for Social Business and Health at Glasgow Caledonian University, UK. An economic sociologist and public policy specialist, Michael has published extensively on the health and well-being impacts of social enterprise-led activity, opening up a new sub-field of interest at the nexus of social economy and public health. Noura Bittar Soborg is a Syrian refugee and women’s rights activist. She has worked on projects for the Danish Human Rights Institute and Amnesty Denmark, and given a number of public speeches on the experience of being a refugee. She is also founder of EMISSA, a non-profit association aiming to strengthen women and children’s rights through intercultural encounters. Margaret Somers is Emeritus professor from the University of Michigan, a social theorist and comparative historical sociologist specializing in economic, political, and cultural historical sociology. She works under the guidance of Karl Polanyi’s intellectual and moral legacy and seeks to express Polanyi’s commitments in her writing. Sara Svensson is Research Fellow at the Center for Policy Studies at Central European University, where she conducts research on civil society and public administration intersections in Hungary as well as on policy formation and governance structures in European cross-border regions. She occasionally contributes to broadcast and print media in Sweden, and has worked at different locations as a radio news journalist.